Goat hair, with a narrowing tip created in the narrowest dimension for precision. Highlighting delicate areas like the inner corner of the eye to widen eyes. Dip the tip of the brush into a very light shimmery eyeshadow or highlighter and press the tip over the skin on the inside of the tear duct nearest the bridge of the nose. It can also be used on the outer corner to widen eyes. 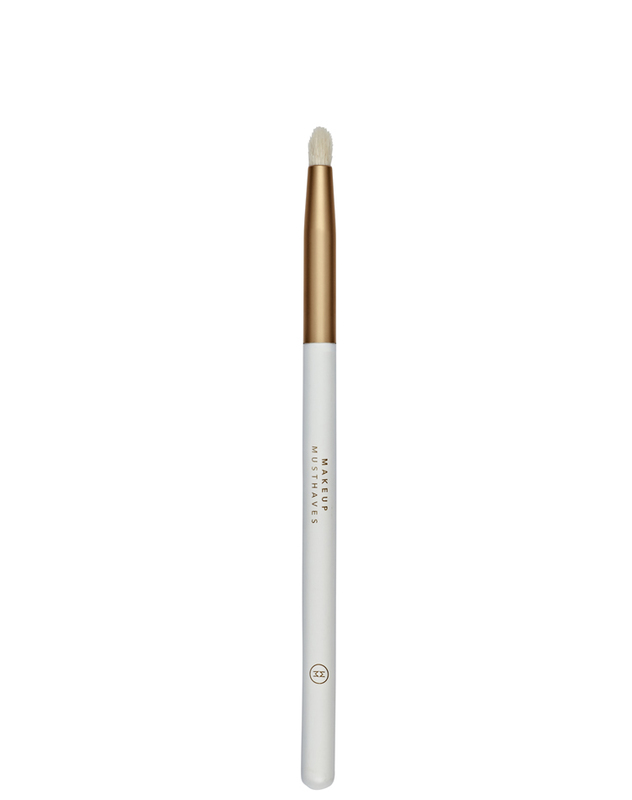 Because this brush is so narrow it can also be used to highlight down the nose, cupids bow and under the brow. This brush can also be used to smudge and soften the appearance of eyeliner and Kohl pencil and for eyeshadow artistry like a cut crease.